If you are looking for a pressure sprayer, garden sprayer, knapsack sprayer or spare parts for professional or private use, then choosing pressure sprayers from Gloria means choosing undisputed top quality. Products from the top German brand feature ergonomic designs, are economical and have a long service life. The webshop also has detailed parts drawings to make ordering as easy as possible. 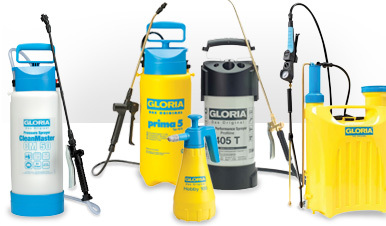 For more than 70 years, Gloria has been using innovative technology to produce high-quality products for crop protection, with a product range that covers everything from home and garden sprayers to robust sprayers for agricultural, livestock farming and industrial applications. Telescopic lance 1 to 2 mtr.